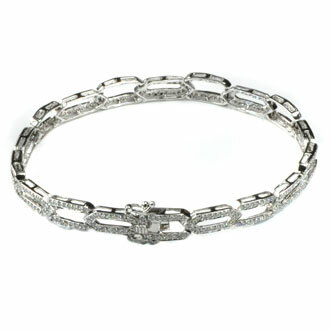 This striking Diamond tennis bracelet is a custom design by Jorge Adeler. 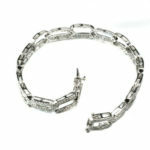 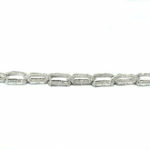 The Diamonds (1.49ct total weight) are pavé mounted in 14kt white gold. 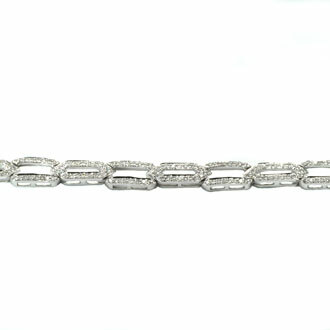 A unique link style makes this bracelet one of a kind.